Indiana Jones and the Last Crusade was released in 1990, a year after the third installment of Indiana Jones movie was released into theater. 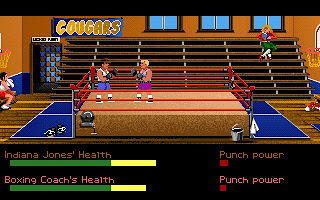 The original release supports only 16-color EGA graphics, but later has been re-released in 256-color VGA graphics. 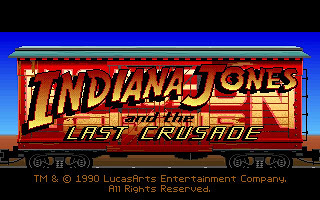 Indiana Jones and the Last Crusade story line follows closely with the movie, with some parts being elaborate to make the game more difficult to play. At the beginning, Indy is approached by businessman Walter Donovan, who tells him about the Holy Grail, and of the disappearance of his father. 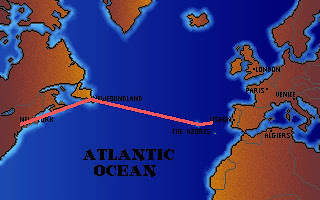 Indy later travel to a few places in the movie, like Venice, the church, catacomb and the old castle. 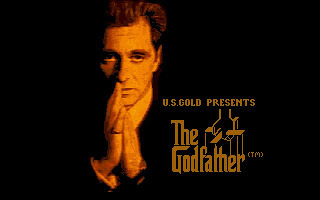 There, he will meet his father. 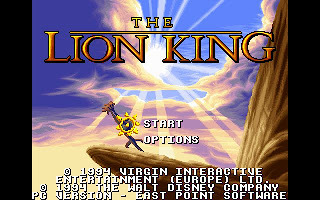 However, some scenes in the movie are not included in the game, like Brotherhood of the Grail, Indy's friend Sallah, the Venice water chase scene and the desert battle. 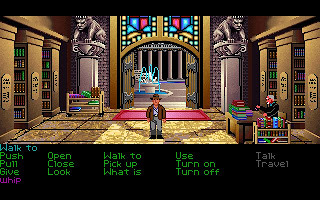 In Indiana Jones and the Last Crusade, Lucasarts introduce a new point system called "Indy Quotient". Normally, there are several ways to solve a puzzle, by using a good alternative, we can get higher IQ score. 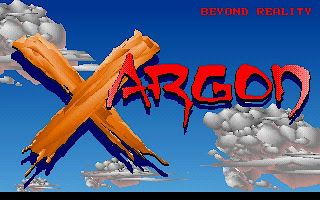 Therefore we can keep replaying the game with different approach to get higher score. 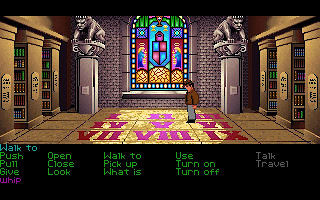 Last Crusade was the first Lucasarts game to include the verbs Look and Talk. 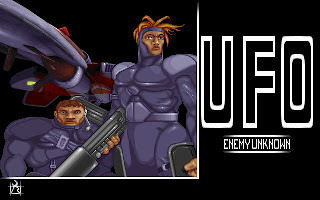 In several situations, the latter would begin a primitive dialogue system in which the player could choose one of several lines to say. 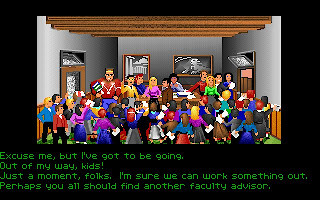 The system was fully evolved in The Secret of Monkey Island and remained in all later LucasArts adventure games. 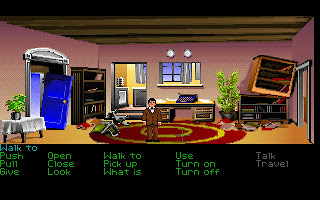 In conclusion, Indiana Jones and the Last Crusade is a good adventure games and should not be missed by all Indiana Jones fans. You can get your copy here.